I want to add a few more things about KaratBank coin and KaratBank ICO that I recently wrote a post on. ♣ In May / June the KaratBank coin will be available on major exchange platforms. Such as Bittrex, Poloniex & Bitfinex. ♣ Like I said in the other post, KaratBank coins can be exchanged for physical gold. For every 10,000 KaratBank coins, you can get 0.1 g of gold. Remember, this gold will come in a form of cashgold. Or gold cards. ♣ It’s designed to be used as a generally accepted electronic means of payment for all those understand the value of gold. ♣ Because of gold’s qualities holders of KaratBank Coin are more or less secured against inflation and economic roller coasters. ♣ Those who own KaratBank coins can also benefit from the coin’s value increase in the future. Thinking what is KaratBank ICO? It simply means that you can invest in the coin (token) before it’s out on the exchanges. 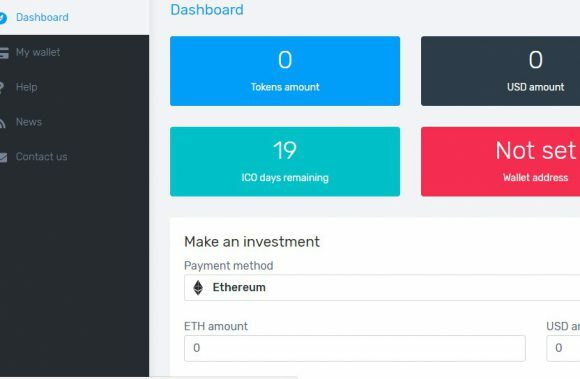 ICO stands for Initial Coin Offering. At this moment 1 coin is 0.05 EUR. This price will last until April 4 (15% sale is going on now). 1. Log into your backoffice. 2. 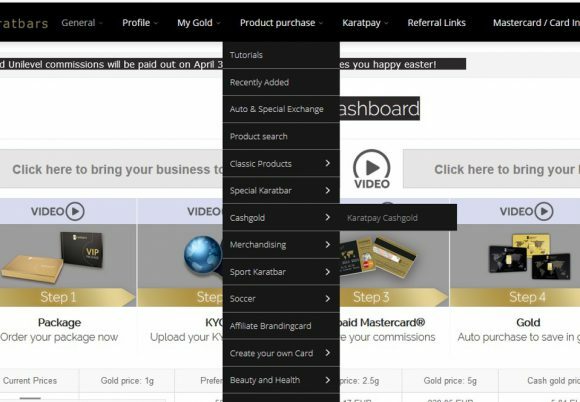 Then go to Product Purchase –> Cashgold –> KaratPay Cashgold. Once the KaratBank coin is on a first exchange in May / June, you can use this cashgold to convert it to KaratBank tokens. For this purpose, a free affiliate account is enough. So, business packages, which you have to pay for, are not important in this case. 2. Scroll down. 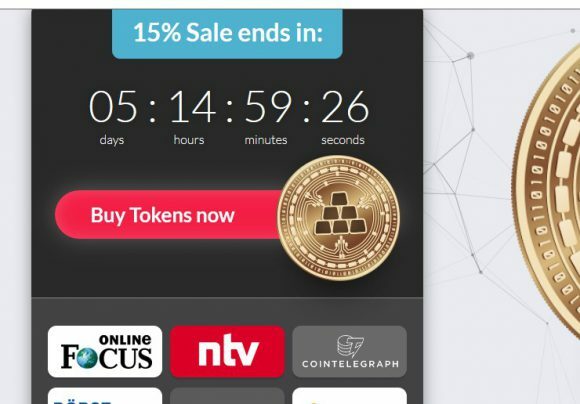 There will be a couple spots where you can click on “Buy Tokens Now”. 3. Register for your KaratBank account (you need to confirm your email there). 4. Then login into your Dashboard. 5. Go to my “My wallet” and enter your Etherium address. 6. Transfer your investment. Use Etherium or Bitcoin to buy the preferred amount of KaratBank tokens. 8. Then wait until KaratBank releases your tokens automatically into your wallet. If anything is unclear, email me at margarit@freewithgold.com. Yes, you will. You’ve bought them for less than $0.08 USD, correct? It should be $0.08 USD on April 20th. Hallo, when will this coin’s value increase substancially? However, because it’s a non-volatile currency this will be a gradual process. It needs to build momentum. It has been only 5 months. Although it’s not an accurate comparison (there are no analogous currencies), it took 10 years for Bitcoin to drastically go up in price.